Lenten Book Club 2019 - official schedule! Hi all! We're exactly a week out from Ash Wednesday, and as usual, the Catholic Nerd is all excited! :-0 I have a prayer plan in place, devotionals are all ordered, and so it's time to solidify our Lenten Book Club for 2019. 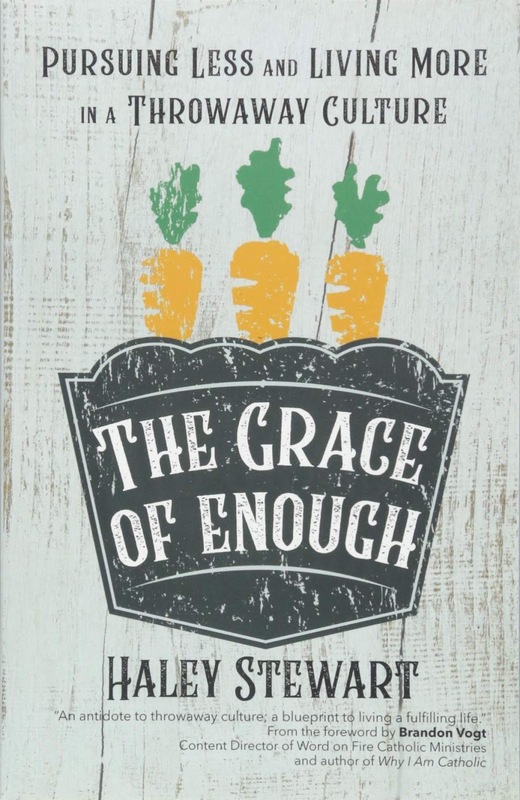 This year we're going to be reading The Grace of Enough: Pursuing Less and Living More in a Throwaway Culture, by Haley Stewart. I'm *very* excited about embarking on this reading journey along with all of you! This book was recommended to me by my sister, who loved it, and told me that she devoured it quite quickly because she was so into it. Therefore, what I'm thinking is that we will start reading this weekend, have our first post next week just as Lent is beginning, and wrap up prior to the season finishing, I figure that we might as well ride the wave of a quick and interesting read, and give ourselves a few weeks at the end of Lent to focus on Holy Week and preparation for that. And there are only 12 chapters, 192 total print pages, so this definitely shouldn't take us long to get through. What do you all think? Are you all as excited as I am?! Let's get our copies secured (mine is already on my Kindle!) and get reading this weekend! We'll chat on the Thursday following Ash Wednesday. If you're going to be participating, please let us know in the comments! Hello all, and happy late February to you! I had just such an inspiring time this past weekend at the Columbus Catholic Women's Conference, and couldn't wait to share it all with you! It's hard to full articulate what the weekend meant to me, but it meant a LOT. 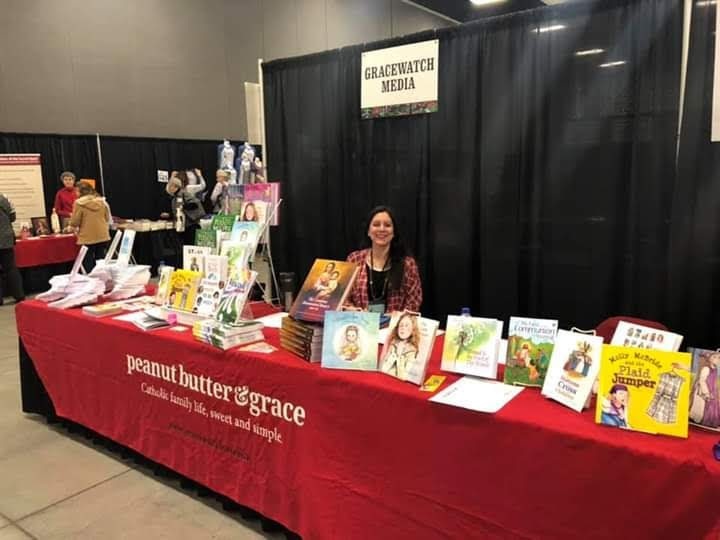 The fellowship, the palpable sense of faith and hope surrounding me, the presence of the Lord at the Masses, the adventure of manning a vendor booth for the very first time selling my own book (I even got to sign some for people :-0)... it was just balm to my soul. It was so, so needed, and it was such a blessing! I was so inspired that I decided to create a spiritual reading list for the rest of the year. Interested in joining me? Here are the titles I selected, some of which are new, some of which were lurking on my Kindle, and I placed them all into their own special folder on my ereader! When Haley Stewart married her bee-keeping sweetheart, Daniel, they dreamed of a life centered on home and family. But as the children arrived and Daniel was forced to work longer hours at a job he liked less and less, they dared to break free from the unending cycle of getting more yet feeling unfufilled. They sold their Florida home and retreated to Texas to live on a farm with a compost toilet and 650 square feet of space for a family of five. Surprisingly, they found that they had never been happier. 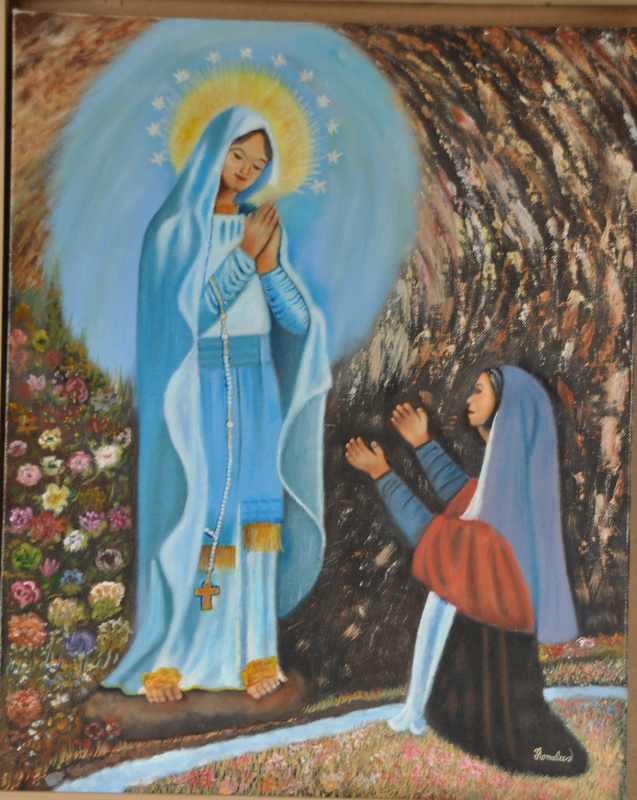 Drawing from Pope Francis’s encyclical on the environment, Laudato Si’, Stewart identifies elements of Catholic social teaching that will enhance your life and create a ripple effect of grace to help you overcome the effects of today’s “throwaway” culture and experience a deeper satisfaction and stronger faith. This book is our Lenten Book Club for this year, and I hope that you join in with us! I hear that this is an engaging and quick read, on a fascinating topic within our spirituality! I'll be posting our reading schedule for this book next week, so look for that post next Wednesday or Thursday, as we'll be just one week out from Lent at that point! Sohrab Ahmari was a teenager living under the Iranian ayatollahs when he decided that there is no God. Nearly two decades later, he would be received into the Roman Catholic Church.In From Fire, by Water, he recounts this unlikely passage, from the strident Marxism and atheism of a youth misspent on both sides of the Atlantic to a moral and spiritual awakening prompted by the Mass. At once a young intellectual's finely crafted self-portrait and a life story at the intersection of the great ideas and events of our time, the book marks the debut of a compelling new Catholic voice. I heard about this book at the conference, and you all know that I am very drawn to conversion stories and memoirs! I pounced on this one right away; it's new, just came out last month! According to Pope Benedict XVI, "the liturgical year is a great voyage of faith on which the Church sets us out." The feast days in the Church's liturgical calendar follow the major events of Jesus' life as recounted in the Gospels. This cycle gives a rhythm to the life of the Church and helps Christians better understand the divine mystery. Especially in our secularized society, liturgical practices guide and deepen our path, centering our focus on Christ and teaching us how to live. Beginning with Advent and concluding with the feast of Christ the King, Pope Benedict's Holy Days presents excerpts from selected homilies that he has given over the course of the liturgical year in Rome. The book is organized by season and feast days, with brief introductions. This short devotional volume will be a welcome resource for priests and parishioners seeking to focus their minds in preparation for worship. I received this book as a gift from Sam last year, and have been meaning to get to it. I also adore the liturgical year, and can't wait to dive into this one! Eight hundred years ago, Albert of Jerusalem gave the hermit-penitents of Mount Carmel a way of life to follow. Since then, this rule has inspired and formed mystics and scholars, men and women, lay and ordained to seek the living God. In The Carmelite Tradition Steven Payne, OCD, brings together representative voices to demonstrate the richness and depth of Carmelite spirituality. As he writes, Carmelite spirituality seeks nothing more nor less than to 'stand before the face of the living God' and prophesy with Elijah, to 'hear the word of God and keep it' with Mary, to grow in friendship with God through unceasing prayer with Teresa, to 'become by participation what Christ is by nature' as John of the Cross puts it, and thereby to be made, like Therase of Lisieux, into instruments of God's transforming merciful love in the church and society." The lives and writings in The Carmelite Tradition invite readers to stand with these holy men and women and seek God in the hermitage of the heart. I've been feeling a definitely Carmelite vibe these days, and this one somehow jumped onto my Kindle. ;-) I'm thinking it will be fantastic fodder for meditation and quiet contemplation, especially this summer near the feast of Our Lady of Mt. Carmel. A Prairie Girl's Faith provides the first extended, in depth discussion of the Christian faith of one of America's most beloved pioneer women--Laura Ingalls Wilder. Although the faith of the Ingalls' family pervades books in the Little House series, the more specific details of Laura's faith have never been fully explored. It took extraordinary pluck for anyone to survive the harshness of frontier life--from the heartbreak of sudden crop losses to murderous storms to unrelenting loneliness. This book reveals how in surviving, the brave Laura drew not just on her character, but found encouragement, strength, and hope in her relationship with God. Thoughts? Do you have a spiritual reading list for this year? I would absolutely LOVE to hear about it if you do! Or have you done this in the past? Ditto! Look for the Lenten Book Club schedule to be out mid to late next week! My February piece over at CatholicMom.com is devoted to OL Lourdes! Hello all! It's a busy week over here in my little corner of Western New York. We've had some pretty intense winter weather every single week lately, and it's made commutes and such difficult, but we're hanging in there. 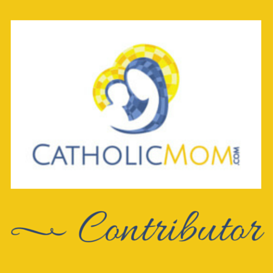 Speaking of traveling by car, I'm going to the Columbus Catholic Women's Conference on Friday! It's looking like the weather will be OK for me to drive, it's about 5 hours away. I'm a little nervous about it, BUT I will get to see my beloved Allison Gingras for the first time since 2015, and I'm ever so excited about that! I'm sure I'll be tweeting and posting in our Facebook group for those who partake in those communities. I'll keep you all in the know! I think it'll be a lovely way for me to prepare for Lent. And speaking of Lent! I'm all excited. :-0 #CatholicNerd My goal this Lent is to keep up with my new subscription to Living Faith, and my first print issue should arrive anytime now. As well, I'm planning to download the Blessed Is She Lent Devotional for 2019, which is called To The End. I absolutely love their devotional journals, and although the digital download makes it harder to fill in the questions, I find that I am more apt to use it in digital form. Thoughts?! My sister Shauna'h mentioned this book to me, so I popped over to Amazon to check out the description, and got all excited. 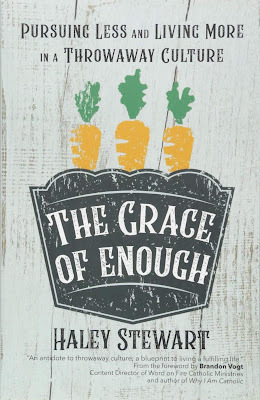 In The Grace of Enough, Stewart shares essential elements of intentional Christian living that her family discovered during that extraordinary year on the farm and that they continue to practice today. Yes, I really wish I had come up with this idea myself. :-0 You all know how much I enjoy podcasts, and how much my kids and I also enjoy stories of the saints. This would have been a marketing goldmine, let me tell you you. ;-) At any rate, Shining Light Saint Dolls thought of it first, and I listened the newest episode as well as one of the earlier ones this morning while I was getting ready for work. Let me tell you: SO CUTE. These are not just for kids! This is a weekly podcast featuring a saint whose feast is celebrated that week. They are short episodes, 4 to 5 minutes each, and begin with a quick description of the saint, followed by a narrated story highlighting something this saint is particularly known for. The stories have sound effects and everything, it's so endearing. :) At the end, the narrator draws a lesson that we can all learn from this saint. The newest episode features St. Scholastica! I really enjoyed these, and officially subscribed to the feed so that I'll receive new episodes automatically in my podcast app. 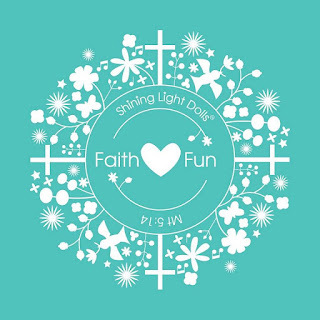 If you go to the Shining Light Dolls website, scroll down just a tad and you'll see "Saint Stories for Kids", followed by the option to listen to the latest episode, or subscribe via a number of different feed options. They would be perfect to play for your kids, but I have to admit that I'm looking forward to listening to the new episodes as well. They are a breath of fresh air for my morning commute!